Amazon Web Services wants to turn its partners into superheroes, by allowing them to do more on its platform with a plethora of new product and service offerings. 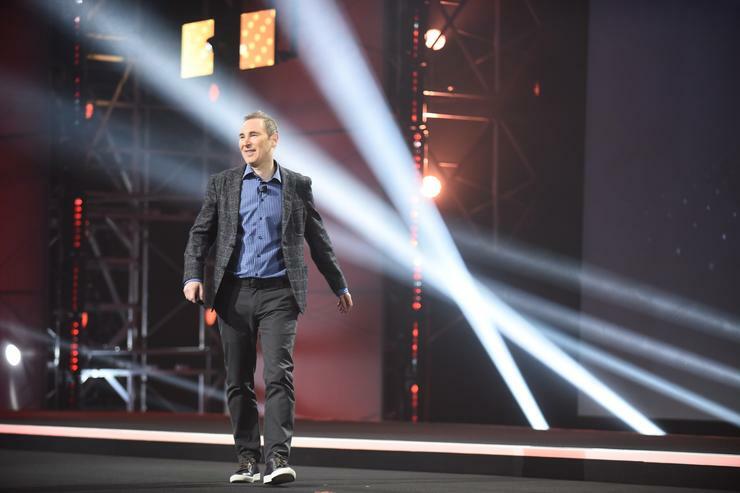 AWS CEO, Andy Jassy, used the keynote address of the public cloud provider’s re:Invent 2016 conference to launch a wide array of new products and services for partners to take advantage of. Jassy began by touting the ability of the AWS platform to handle a variety of different workloads. “Anybody who has any reasonable amount of workloads knows there is diversity in these workloads, they have different constraints, some have compute constraint or IO constraints,” he said. Jassy then announced the company would be introducing a range of new compute instances for its EC2 platform. These include two new instances on T2 for “burstable” or on demand compute; a new “simple virtual private server” facility called Lightsail; a new memory intensive R4 platform; a high I/O suitable I3 instance; a compute intensive C5 instance; and an FGPA-intensive F1 instance for machine learning. In addition, the company launched graphic processing on demand for each EC2 instance. Jassy said these new offerings would enable partners and customers to use the entire EC2 platform more efficiently by utilising more appropriate services for specific computing needs. Jassy went on to say - in reference to Oracle founder, Larry Ellison - that due to the emergence of technologies such as those from AWS, it was now much easier for customers and partners to cut through the hype from established vendors and get to the truth of what products and services can deliver. “You used to get these old-guard leaders who would stand up and make all these claims, and you had no ability to know what was real, you had to make a buying decision before you could actually figure it out,” he said. He added that partners and customers now had even greater ability to understand their customers through data analytics. “It has never been easier and more cost effective to collect, store, analyse, and share data than it is today with cloud. "Some of that has to do with the value proposition and the cost equation of cloud but a lot of that has to do with the services that AWS has made available. We have a much broader analytics offering than you will find anywhere else," he mentioned. According to Jassy, AWS was getting an increasing number of requests for ad hoc analytics queries and thus, will launch a companion data analytics tool to Redshift and EMR. He said that the company had made generally available a new tool called Athena which was purpose built for on demand data analytics queries to save partners and customers time and money when querying large data sets. In addition, the company has also has added full PostgreSQL compatibility to its database engine, Amazon Aurora. Jassy said customers and partners could get up to several times better performance than the typical PostgreSQL database and take advantage of the scalability, durability, and security capabilities of Amazon Aurora – all for a tenth of the cost of commercial grade databases. Jassy then followed on from an announcement made at the previous day’s partner address, detailing Artificial Intelligence (AI) services to assist developers to build apps which can understand natural language. Jassy said these could turn text into lifelike speech, have conversations using voice or text, analyse images, and recognise faces, objects, and scenes. The new features titled Amazon Lex, Amazon Polly, and Amazon Rekognition will provide partners and customers AI capabilities that are scalable and cost-effective. Jassy said these are are fully managed services and thus do not require deep learning algorithms to build, machine learning models to train, or up-front commitments or infrastructure investments. Read more Is voice recognition the new partner opportunity? Chris Player travelled to Las Vegas as a guest of Amazon Web Services.